The pulse oximeter is used to indirectly measure the functional oxygen saturation (SpO2) of an adult or pediatric patient’s blood. Pulse oximetry combines the principles of optical plethysmography and spectrophotometry to determine arterial oxygen saturation values. Pulse oximetry is a critical factor in vital signs measurement and monitoring. 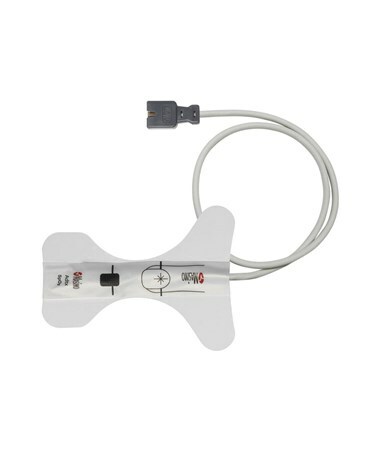 Masimo® SpO2 sensors, including the LNCS-ADTX, -INF-L, and -PDTX adhesive finger sensors, facilitate easy, comfortable, accurate pulse oximetry measurement. 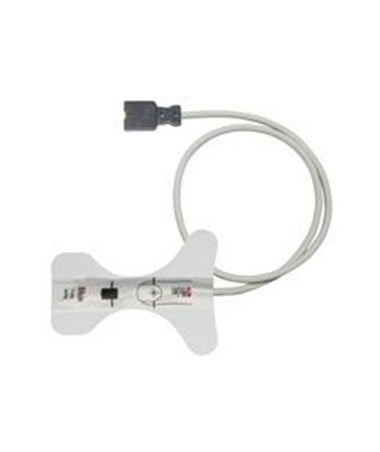 The sensor adheres painlessly to a patient's finger and connects to pulse oximeters and vital signs monitors with its 18" or 3' cord and 9-pin connector. The case of twenty sanitary disposable sensors also economically reduces cross-contamination and infection among patients. A six-month warranty guarantees quality and satisfaction. The finger sensor is available in three sizes: infant, adult and pediatric. The soft brown infant sensors are designed to fit the tiniest patients at weights between 6.6 and 44 pounds. 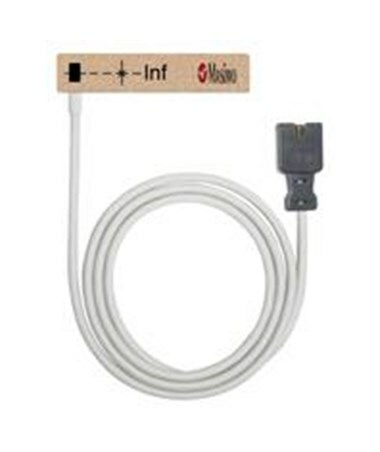 The box includes one 3' cable and 9-pin connector. The adult sensor fits adults weighing 66 pounds or more, while the pediatric sensor is designed for children and small adults 22-110 pounds. 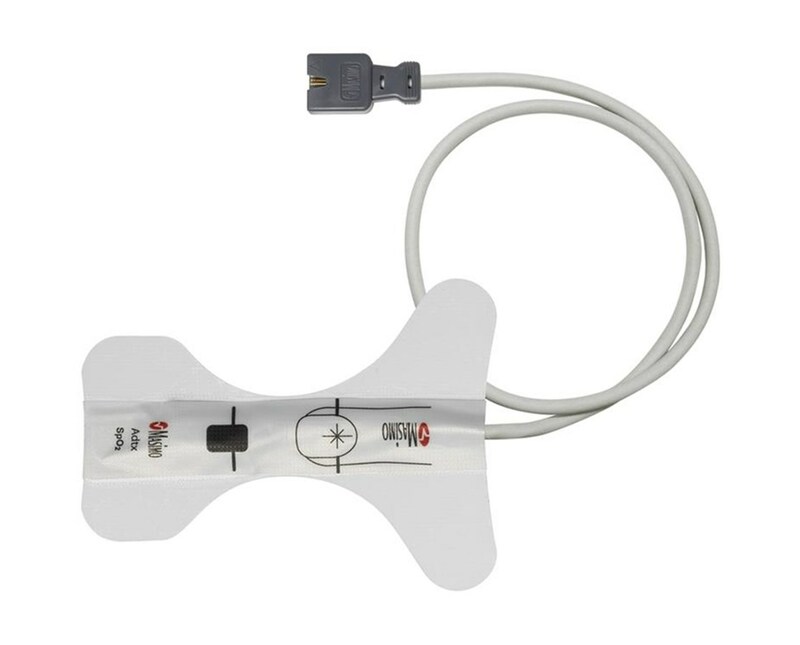 Both are crafted of transparent tape and include an 18" cord and 9-pin connector. Choose a size from the drop-down menu in the upper right corner of this page.